Any pregnant woman is advised to be very careful about everything. Especially with their diet and workout. They are advised to be away from any heavy physical activity. But it is extremely important for a pregnant woman to practice some exercises for maintaining their nutrition for the good health of herself and the baby. One of the biggest stereotypes in our society is that pregnant women should avoid anything strenuous but keeping fit during the nine months is one of the most important factors that keep the mother and baby healthy. Do cardio and don't shy away from strength training, say experts. 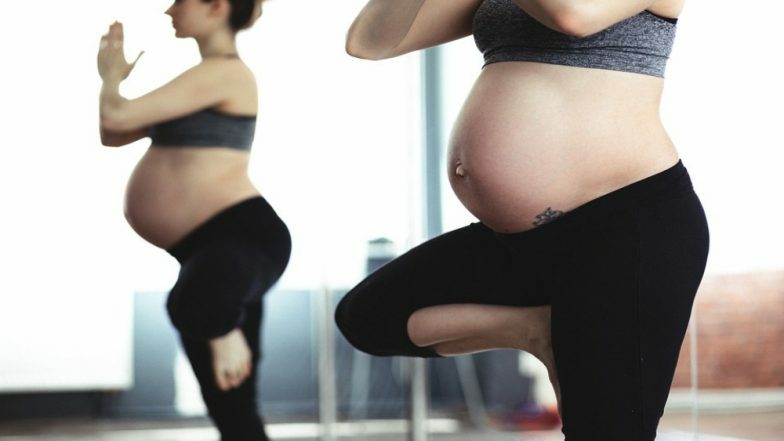 Certified nutritionist Kartikey Bhandari and fitness professional Shivam Bhandari have doled out tips for a safe workout and fitness during pregnancy. Pregnancy Tips: Here Are Dietician-Recommended Healthy Foods Mothers-to-Be Must Add in Their Diet. Start slow: Before doing any exercise, make sure your form is correct. Seek professional help. Relying on workout videos is not advisable. You may be doing it wrong with no one to correct you. Also, don't trust your coach blindly. Ask questions such as the names of the exercises, muscles involved, benefits. Focus on learning. Always do it under supervision. Be patient: Results don't show overnight. You have got to keep working on yourself every day. You'll definitely see results if you train properly, rest adequately and eat nutritious food. If any of the three are missing, results tend to slow down. Attention To-Be Moms! Here Are Vaccination Guidelines for Pregnant Women. Don't just stick to one type of workout: Strength training is not all you need. To be able to move better you need to mobilise properly before any workout. To maintain or even increase your flexibility, you need to do the required stretches. Stretching and mobilising will not only help you release all the stiffness in your muscles but also help you perform the strength exercises better. Nutrition: If you're working out but not keeping your nutrition in check then the workout will do you more bad than good. On top of that if you're pregnant and working out then you will need a well-formulated diet to keep you healthy. So here are a few things you should keep in mind. Don't run away from fat. It has a lot of functions in your body including hormone production and regulation, transportation and absorption of fat-soluble vitamins, regeneration of the covering of your nerves, building up of your cell membrane. A diet lacking in adequate good quality of fats can lead to health issues in the long run. Proteins are the building blocks for our body. You need it to preserve your muscle mass and/or to increase your muscle mass if you have resistance training in your workout schedule. Apart from that, protein also helps to strengthen your immune system, contribute to the production of hormones and enzymes, takes care of your hair and nails as well. Micronutrients include vitamins and minerals. Keep a check on your micronutrient profile every month.